The iconic best-selling PlayStation2 video game comes to life when two unlikely heroes join forces to save their galaxy in Ratchet & Clank, an all-new animated adventure. 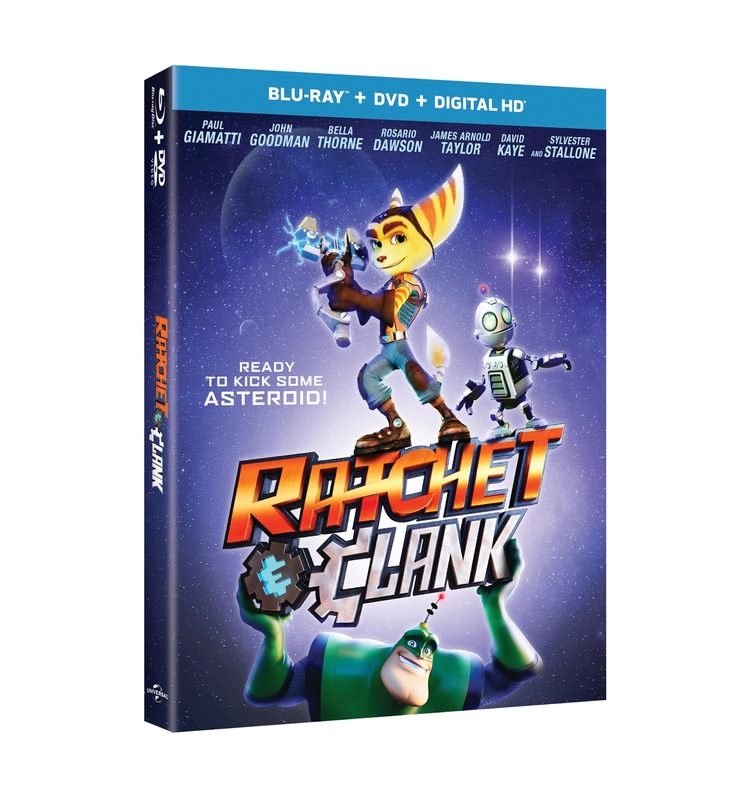 With its arrival on Digital HD on August 2, 2016, and Blu-ray™, DVD and On Demand on August 16, 2016 from Universal Pictures Home Entertainment, fans of the video game, as well as newcomers to its irreverent, action-packed universe, can blast off with Ratchet and Clank on an out-of-this-world journey where they learn the true meaning of friendship, determination, and heroism. Based on the celebrated video game franchise, Ratchet & Clank follows two accidental heroes who join forces to save the universe. Ratchet is a “lombax” with big dreams of joining the elite fighting team, the Galactic Rangers. Clank is a spunky robot who discovers that the evil alien Chairman Drek has a weapon that can destroy whole planets in a moment’s notice. The two misfits must use their wits to help the Rangers save the day in this thrilling and funny adventure featuring the voices of Paul Giamatti (The Amazing Spider-Man 2), John Goodman (Monsters, Inc.), Bella Thorne (Alexander and the Terrible, Horrible, No Good, Very Bad Day), Rosario Dawson (The Lego Batman Movie), and Sylvester Stallone (Creed). 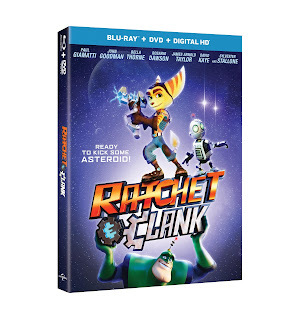 The stellar voice cast is rounded out by the game’s original performers including James Arnold Taylor, David Kaye, Jim Ward, and Armin Shimerman, reprising their respective video game roles of Ratchet, Clank, Captain Qwark, and Dr. Nefarious. Ratchet & Clank: A Hero’s Journey: Cast and Crew discuss what a hero means to them and how Ratchet and Clank both measure up. Featuring interviews with director Kevin Munroe and stars James Arnold Taylor and Bella Thorne. Ratchet & Clank: Leveling Up: Cast and Crew talk about adapting a video game to film and the legacy of Ratchet & Clank. Featuring interviews with director Kevin Munroe and stars James Arnold Taylor and Bella Thorne. Blu-ray™ features a pristine high-definition picture, theater quality sound and exclusive extras. DIGITAL HD with UltraViolet™ lets you watch movies anywhere, and plays on your mobile devices. Universal Pictures Home Entertainment (UPHE-www.UPHE.com) is a unit of Universal Pictures, a division of Universal Studios Universal Studios is a part of NBCUniversal, one of the world’s leading media and entertainment companies in the development, production, and marketing of entertainment, news, and information to a global audience. NBCUniversal owns and operates a valuable portfolio of news and entertainment television networks, a premier motion picture company, significant television production operations, a leading television stations group, world-renowned theme parks, and a suite of leading Internet-based businesses. NBCUniversal is a subsidiary of Comcast Corporation.